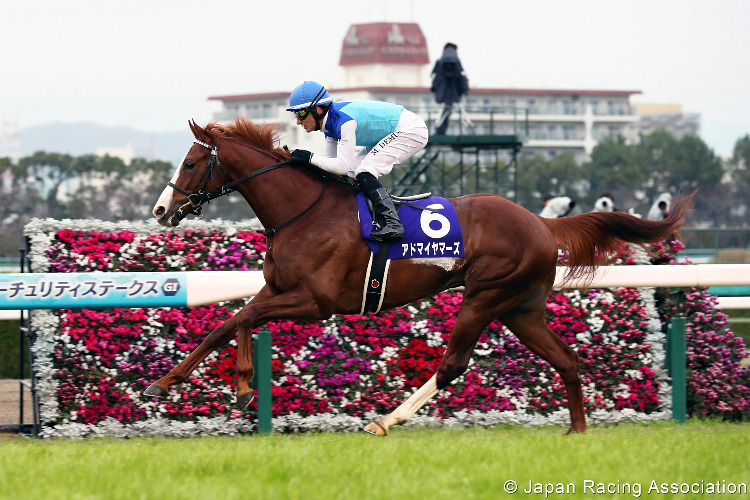 Undefeated Admire Mars claimed this year’s Asahi Hai Futurity Stakes and stretched his winning streak to four. Second favorite and undefeated Admire Mars claimed this year’s Asahi Hai Futurity Stakes by a two-length margin and stretched his winning streak to four. Breaking his maiden in his debut start in June, the colt marked an open-class win in the Chukyo Nisai Stakes a month later and went on to claim the G2 Daily Hai Nisai Stakes in October, all at the mile distance. This win marks trainer Yasuo Tomomichi’s 10th JRA-G1 win following his Tokyo Yushun (Japanese Derby) victory earlier this year with Wagnerian. For jockey Mirco Demuro, this is his fourth Asahi Hai Futurity Stakes victory while the others were with Grand Prix Boss (2010), Logotype (2012) and Leontes (2015), and is now tied with the most Asahi Hai Futurity Stakes titles. This also comes as his 27th overall JRA-G1 victory following his most recent G1 triumph in the Champions Cup with Le Vent Se Leve two weeks earlier. The race unfolded with It’s Cool shooting to the front to set the pace while Admire Mars was settled in third a few lengths behind the race favorite Gran Alegria in second through the early going. 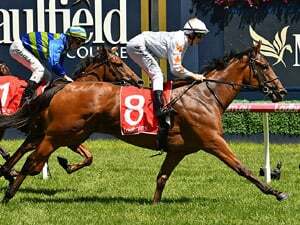 Admire Mars made a strong bid while shifting outside the filly at the final turn and quickly stole the lead from the two 300 meters out. 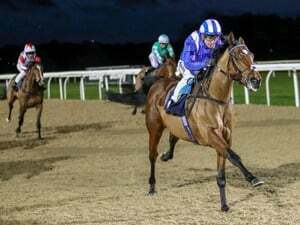 Fiercely trying to shake off the stubborn race favorite inside of him on the rails, the Daiwa Major colt found another gear in the last half-furlong and pulled away with good speed to secure a two-length win. “Just as he did in his last start, he made a clean break today. It was our plan to keep our eyes on Gran Alegria and everything went smoothly. He showed a terrific turn of foot. 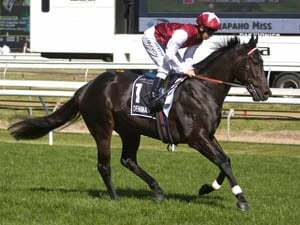 He’s a smart colt and hates to lose so I’m looking forward to seeing how he improves next season,” commented Mirco Demuro after the race. Breaking from the innermost stall, ninth favorite Kurino Gaudi ran the rails in fourth to fifth, chased the eventual winner into the lane and displayed a strong drive up the stretch hill. Although no match for the winner, the longshot caught Gran Alegria in the last 50 meters for the runner-up seat. The only female runner in the field, Gran Alegria was voted as heavy favorite in hopes of becoming the first filly to capture the title in 38 years. 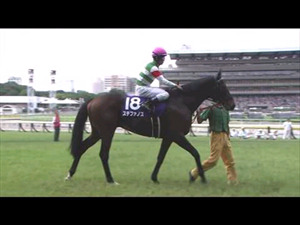 The Deep Impact filly broke smoothly, chased the pace in second, stubbornly disputed for the lead in mid-stretch but tired in the final strides and was caught by Kurino Gaudi to finish a half-length third.